Zappin' with "Forget The World"
A while back my buddy Jay purchased a download of instrumental mopehead volume two and I was confused. He's my best friend and I would never expect him to pay for my music. So I asked and he said he needed the music for a project and he didn't mind paying for my music (which I do appreciate, but...). Anyhow, he emailed and...(no drum roll necessary, really) here's the video he put it in! This instructional video features "Forget The World". Now I HIGHLY recommend going to his Frequency Generation website and reading about frequency zappers. 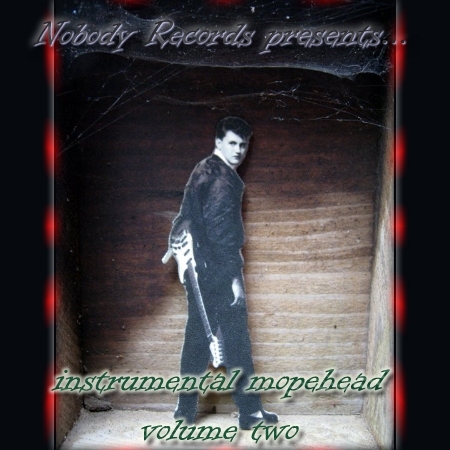 "Forget The World" was intended on being non-instrumental (I have lyrics), but I never got around to recording them and rather than having the tune languish in the old archives I added it to instrumental mopehead volume two. Have a listen to the tunes on instrumental mopehead volume two...if you need tunes for a project, just let me know...I love to have my music put to video.